This unit revolves around the theme of relationships in the Hawaiian marine environment. This unifying theme gives students a context in which to learn about many marine species and their role in the marine environment. First, students explore the relationships between animals and their marine environment by learning about characteristics and adaptations of many Hawaiian marine fish species. Then, students examine trophic levels and how food webs in Hawaiian waters can represent one type of relationship among marine plants and animals. Finally, students explore relationships between people and marine plants and animals important in traditional Hawaiian culture and in the other cultures that shape today’s Hawaiian society. Students watch a video and play a game to learn about native Hawaiian marine animals and how they are adapted to the marine environment. Students create food webs using native Hawaiian marine organisms and examine the effect of bioaccumulation on the flow of toxic organisms through these webs. Students assemble scrapbooks about the natural history and cultural significance of native Hawaiian marine species. Four class periods plus research time for student projects. 1. How are Hawaiian marine animals adapted to their environment? 2. How do food web relationships help to explain ciguatera fish poisoning among humans? 3. What is the cultural significance of Hawaiian marine life? Marine species. Adaptations. Trophic levels and food webs. Cultural significance of marine organisms. Marine organisms exist in specific environments or habitats to which they are well adapted. Understanding relationships among organisms, between organisms and their environment, and between people and marine life is one key to understanding the marine ecosystem. • Make fish prints or rubbings using several different types of fish purchased from a local fish market. • Find images and descriptions of marine habitats in An Underwater Guide to Hawai‘i (Ann Fielding and Ed Robinson, University of Hawai‘i Press, Honolulu, 1987). Pages 21-23 describe a variety of underwater habitats, and there are many photos that show aspects of habitats. Design a marine organism to fit a depicted habitat. • Do the “Designer Fish” activity from the Aquatic Project WILD curriculum guide (available by attending an Aquatic Project WILD workshop offered by the Hawaiÿi Department of Land and Natural Resources Division of Aquatic Resources). • Form a circle with each student holding one of the Food Chains and Webs cards from Activity #2. Tie the end of a ball of string to someone’s waist and have that person toss the ball to another student holding an organism card to which they are linked in a food web. Continue until all students are part of the web. Have the entire circle lean back and feel the strength of the web supporting the whole group. Then cut one link with a scissors, showing the impact of a small action on the whole web. Discuss what this activity demonstrates to students about food webs. • Have students research what happens to energy at each step of the food chain and explain why energy would be lost at each level. • Research occurrences of ciguatera poisoning on Maui and the other Hawaiian Islands. Look for patterns such as where many ciguatoxic fish are caught and which fish species seem to be implicated the most often. • Culminate the unit with a hōʻike or series of class presentations. Each student or group could report on what they learned about the natural history and cultural significance of marine species in Hawaiʻi (Activity #3 “Marine Life Scrapbooks”). Portions of audio and videotaped sessions could be included, as well as examples of items or food dishes made with marine species. Students researching seaweed or species with shells could bring specimens to class. • Teach younger students about native Hawaiian marine life by presenting scrapbooks at nearby elementary schools. Epidemiology Branch, Fish Poisoning in Hawaiʻi, State of Hawaiʻi, Department of Health, Honolulu, 1997. Hawaiʻi Department of Health online public health resources, “Ciguatera Fish Poisoning”. Cigua-Check Fish Poison Test Kit website. Shirai, J. L., L. K. Shirai, and Y. Hokama, Seafood Poisoning: Ciguatera, Yosh Hokama Family Trust, Gardena, California, 1991. Abbott, Isabella, and E. H. Williamson, Limu —An Ethnobotanical Study of Some Edible Hawaiian Seaweeds, Pacific Tropical Botanical Garden, Lawai, Hawaiʻi, 1974. Fortner, Heather J., The Limu Eater Sea Grant Misc. Report, UNIHI-SEAGRANT-MR-79-01, 1978. Hobson, Edmund S. and E. H. Chave, Hawaiian Reef Animals, University of Hawaiʻi Press, Honolulu, 1990. Hoover, John P., Hawaiʻi’s Fishes, A Guide for Snorkelers, Divers and Aquarists, 3rd ed., Mutual Publishing, Honolulu, 1996. ____________, Hawaiʻi’s Sea Creatures, Mutual Publishing, Honolulu, 1998. Kamakau, S. M., The Works of the People of Old, Bishop Museum Press, Honolulu, 1976. Randall, John E., Shore Fishes of Hawaiʻi, Natural World Press, Honolulu, 1996. 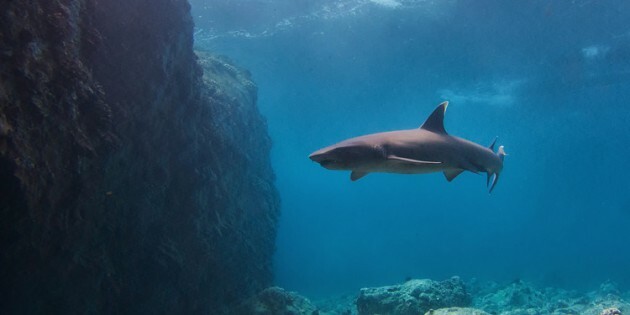 Taylor, Leighton, Sharks of Hawaiʻi, Their Biology and Cultural Significance. Honolulu: University of Hawaiʻi Press, 1993. Titcomb, Margaret, Native Use of Fish in Hawaiʻi, University of Hawaiʻi Press, Honolulu, 1992. ______________, “Native Use of Marine Invertebrates in Old Hawaiʻi,” Pacific Science, Vol. 32, No. 4., 1979, pp. 325-386.